The challenges facing humankind are large, undeniable and global. Economic, social, environmental inequalities abound and are increasing. Businesses are among the most influential institutions worldwide. They have a tremendous opportunity to shape a better world for existing and future generations. Business schools and centres for leadership learning can play a pivotal role, alongside business, in developing the present and future leaders required to ensure that business is a force for good. 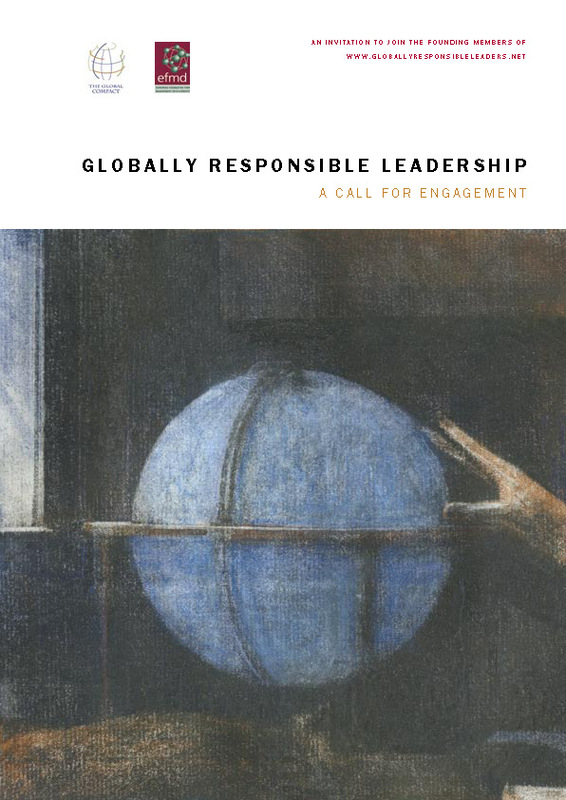 In 2004, united by a shared commitment to the development of globally responsible leaders, senior representatives from twenty one companies, business schools and centres for leadership learning formed a unique working partnership, the Globally Responsible Leadership Initiative. This report describes the key recommendations emanating from their dialogue. The leadership required now and in the future can be described as globally responsible leadership. This is the global exercise of ethical, values-based leadership in the pursuit of economic and societal progress and sustainable development. It is based on a fundamental understanding of the interconnectedness of the world and recognition of the need for economic and societal and environmental advancement. It also requires the vision and courage to place decision making and management practice in a global context. values and practices regarding corporate global responsibility. Already, we are witnessing the emergence of a group of people with awareness and attitudes of corporate global responsibility. This portends a tipping point, the development of a critical mass with a genuinely global view and the skills and appetite to change things for the better. Work with us to ensure that this becomes a reality. Join the Globally Responsible Leadership Initiative. Engage.